Halloween this year was another quiet one. We had only one trick-or-treater, and we spent the evening watching Hocus Pocus. I did, however, enjoy dressing up this year, even if I was one of two people in the office that did. 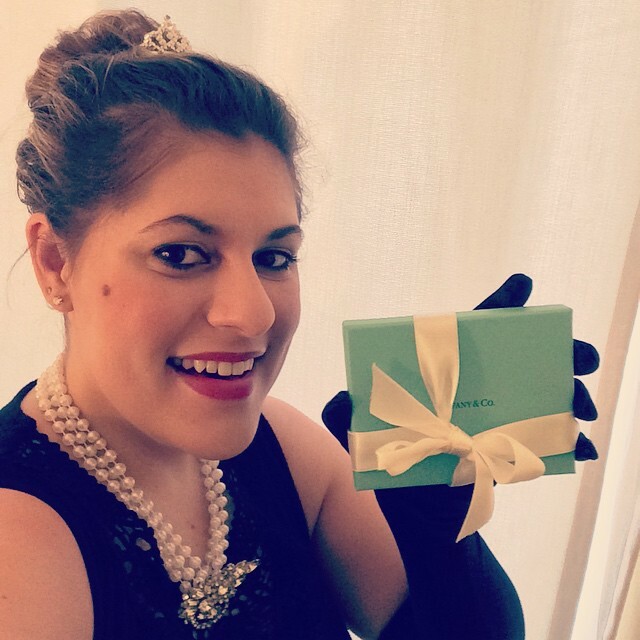 I went as Holly Golightly from Breakfast at Tiffany’s. My costume came together quite easily, and all I had to buy for it was some gloves, fuax pearls, and a cigarette holder. Everything else, including the dress I already had on hand. 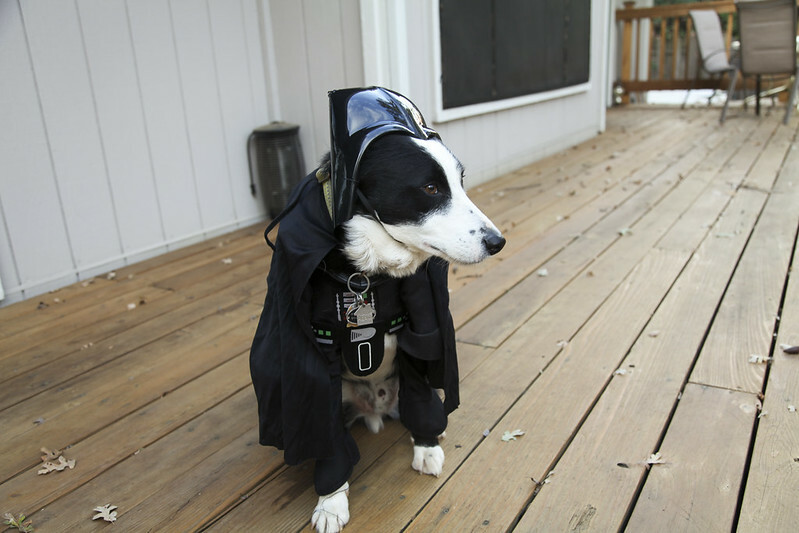 Mr. Big went as a hot dog and Tucker dressed up in his Darth Vader costume. Tucker wasn’t too pleased, but Mr. Big enjoyed his costume, especially since it kept him warm. Today kicks off the annual NaBloPoMo (National Blog Posting Month) in which I write a blog post every day for 30 days. I’ve got a lot of content and updates ready to go for this month since a lot has been happening at the house that I haven’t blogged about yet. Even though I didn’t go all the way through with NaBloPoMo last year I’m gonna make it a goal to be different this year. Yeah! I am going to participate again this year as well. Let’s do this thing 😀 Love all the wonderful costumes btw. 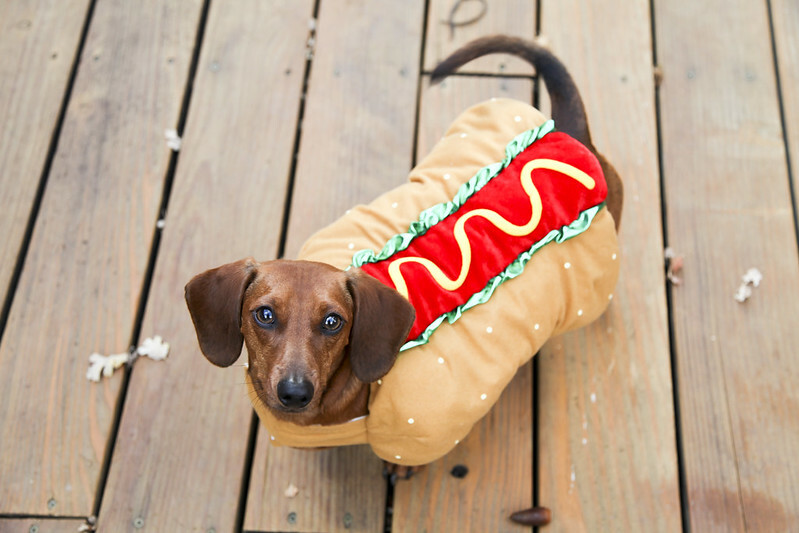 Peter loved the hot dog costume!